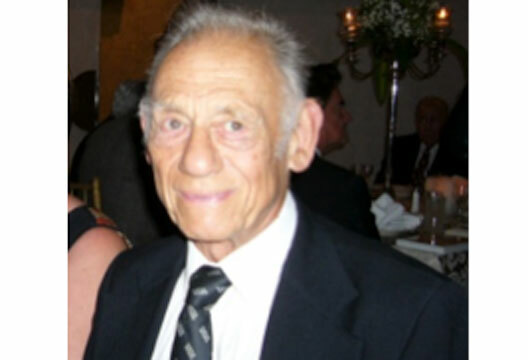 Dr L. F. Lowenstein, M.A., Dip. Psych., Ph.D.,C.Psychol.,CSci, AFBPsS was a chartered psychologist with the British Psychological Society. He was a qualified, Clinical and Educational Psychologist and also worked in the area of Forensic Psychology. He was registered with the Health Professional Council (HCPC) to practice in the areas of clinical, educational and forensic psychology. He published widely in both clinical and educational psychology as well as forensic psychology. Ludwig was a child of the Holocaust. His family escaped Germany, they settled in New York, and Ludwig attended Stuyvesant High School and New York University. He entered the U.S. Army and served in the 82nd Airborne Division. Ludwig was restless; he traveled around the world; he lived in Perth, Australia, and earned a college degree there. After settling in U.K, he obtained his M.A. and Ph.D. at London University. Over the years, Ludwig worked as a teacher, a welfare officer, a probation officer, and a staff member at mental hospitals, child guidance clinics, and residential centers for troubled teenagers. and was responsible for advising the setting up of centres in Poland and other parts of the World to deal with children who suffered from a variety of problems of a psychological, anti-social and emotional/behavioural nature. Ludwig was made an honorary member of the Polish Medical Society, an honor that he shared with Louis Pasteur. He received his B.A. Degree from the University of Western Australia, his Masters Degree and Ph.D (Doctor of Philosophy) from London University, and his clinical training and diploma from the Institute of Psychiatry, Maudsley Hospital. As a senior psychologist, he consulted at many agencies and institutions in the U.K., the U.S., the Sudan, Switzerland, and Poland. He was also a former Chief Educational Psychologist for Hampshire. Following his post as Chief Educational Psychologist for Hampshire Ludwig created a school and therapeutic community, Allington Manor, for troubled adolescents in Hampshire. He ran this for 20 years. Allington Manor was a combination of a school, treatment centre and care facility for disturbed young persons, mainly adolescents, who had a variety of psychological and management problems. He lectured all over the World on this subject. He has twice been elected to serve as a Director of the International Council of Psychologists as well as becoming their President in July 2011- July 2013. He was a Fellow of the College of Teachers and acted as a long serving Chief examiner in Educational Psychology. As a senior psychologist, following his work with disturbed adolescents he was practicing as an Expert Witness for the courts and wrote reports in the areas of educational and forensic psychology as well as personal injury and criminal cases. He also gave evidence in court when required. During this time as a senior psychologist, Ludwig became interested in parental alienation and he testified many times as an expert witness. He was a tireless fighter for people and their rights against authority when he felt that was justified. His advice and wisdom helped many people with parental alienation and other overwhelming problems. He worked and advised in the area of family problems such as parental alienation. He also had a private practice where he treated people with a variety of psychological problems. During his extensive involvement over the last 15 years in the area of Parental Alienation he had written over a hundred articles on this subject as well as lectured extensively in order to extend the knowledge of this widespread and often pernicious practice. He had also written about the needs of the child who had been alienated, what needed to be considered, and how this could be achieved. His website dedicated to parental alienation can be found at www.parental-alienation.info. He also wrote a book “Parental Alienation” which was published in 2007. A second book was being considered for publication on this subject. He also wrote many chapters and articles as part of the publication of others as well as in his own right in all areas of psychology in which he worked. He acted as an expert witness in over 50 cases of parental alienation issues where his expert opinion was sought to assist the Court. He also undertook mediation and treatment sessions in parental alienation cases. He was involved with other colleagues in pursuing the inclusion of parental alienation in DSM-5 and ICD-11 and was a member of the Parental Alienation Study Group (PASG). He will be remembered with love and affection by his family and many of his colleagues and those whom he helped along the way. Yet also one of humanity as a whole. And finding none, created it finally.